Amalfi is the most important town on the Amalfi coast, which is named after the town. 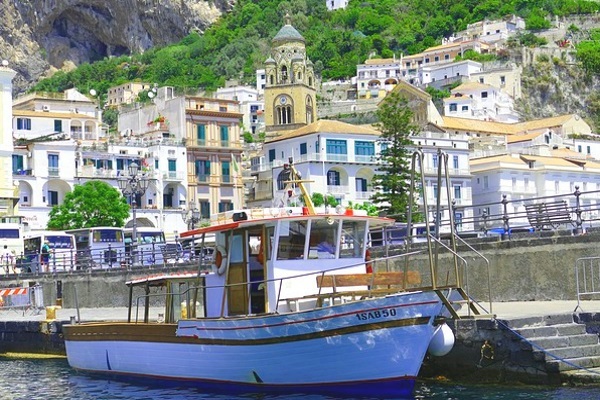 If you see the small village with about 5.000 inhabitants today, you can hardly believe what a great history Amalfi has. In the 10th and 11th century Amalfi was one of the most important powers in today’s Italy. The city was a trading centre between Europe and the Middle East. Like Pisa, Genoa or Venice, Amalfi was one of the great republics in Italy. At its best, the Republic of Amalfi with its suburbs had 50,000 inhabitants, even some money was produced. After some lost wars against the Normans and Pisa, Amalfi lost importance at the end of the 11th century. In 1343 a tsunami destroyed Amalfi. 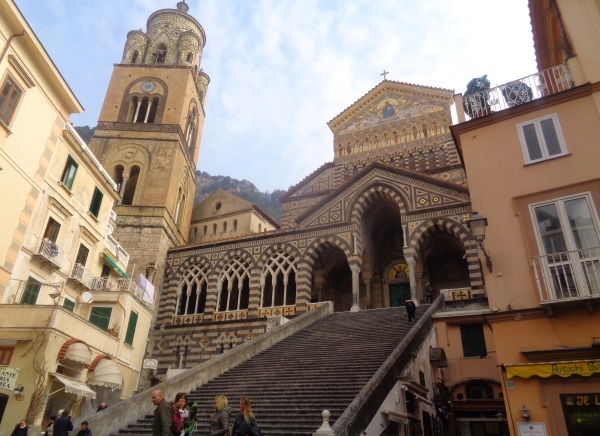 The famous cathedral of Amalfi dates back to the great period of the city in the 10th century. Since then it has been the centre of the city of Amalfi. It is only a few meters away from the center by the sea. A long staircase leads up to the church. The entire old town of Amalfi is a tourist attraction. The narrow lanes, partly built steeply on the slope, impress the many tourists in Amalfi. Today the whole region lives from tourism. For many centuries Amalfi has been the most important place on the Amalfi coast, the city between Salerno and Sorrento. The Amalfi Coast is a well-known steep coast. Also known throughout Europe are the legendary roads along the coast about 60 km south of Naples. The main road and only road along the coast is so narrow that in many places there is a problem with oncoming traffic. Often one of the vehicles has to drive back a few meters to get past each other. A special experience of this kind is the trip with the bus along the coast. A trip from Amalfi by bus to Salerno and Sorrento takes 1 1/4 to 2 hours, depending on the traffic. The bus drivers have a particularly hard time in the busy summer. There are buses from Amalfi to Salerno and Sorrento along the coast. These also stop in all other places along the route. 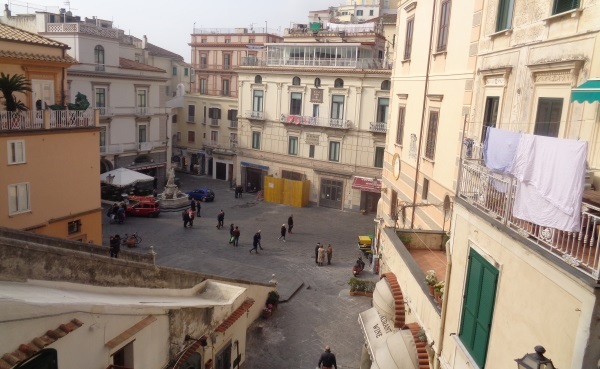 Both Salerno and Sorrento have about one bus per hour. The fares are very low, 2,40 Euro to Salerno, 2,90 Euro to Sorrento. Tickets must be bought in advance at the travel agency or tobacco shop next to the bus stop. The bus stop is centrally located by the sea. There are also buses to Ravello and other places around Amalfi. You are much faster with the ferry in Salerno, these also drive frequently (about every hour). There are also ferries to Positano, in the other direction along the Amalfi coast. There are also ferries to the island of Capri and other places.
. If you have a rental car or your own, you should consider that parking on the narrow Amalfi coast is difficult and expensive.